USING THE STAGE TO ITS FULL CAPACITY. Francis Starlite is known for his energetic, sometimes dangerous stage antics. 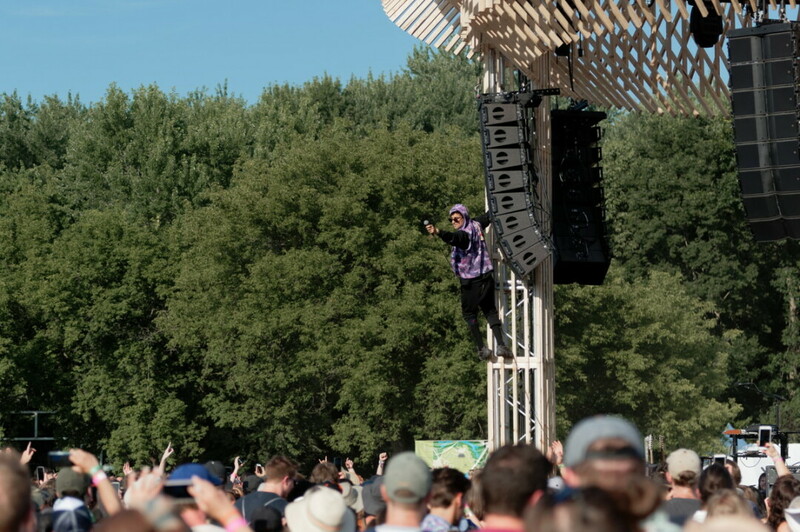 He held a dance class for Eaux Claires IV attendees to learn sweet moves for the show, but something tells us he didn’t prepare concert-goers for this one.